Jana Lam with hand screen printed cotton canvas.Photos by Jerry Mayfield. 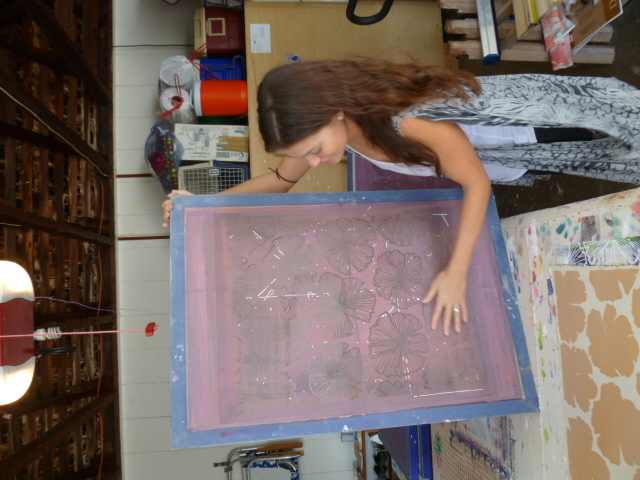 Jana preps a silk screen for a second color. Like many English majors, Jana Lam, 30, of Makiki, a 1999 Punahou grad, did not know what she wanted to do upon graduating with her B.A. from Davidson College. She simply knew she wanted to do something creative. Jana thought she might want to go into advertising so she tried a stint in the “Mad Men” world of New York City’s Madison Avenue. Nope. “I didn’t like the competitive nature of advertising,” she explained. Jana then moved to San Francisco with (then boyfriend, now husband) Joshua Lam and worked in administration for a consulting firm. That wasn’t the answer for her either, so she went back to school. She majored in Interior Design at the Academy of Art in San Francisco. 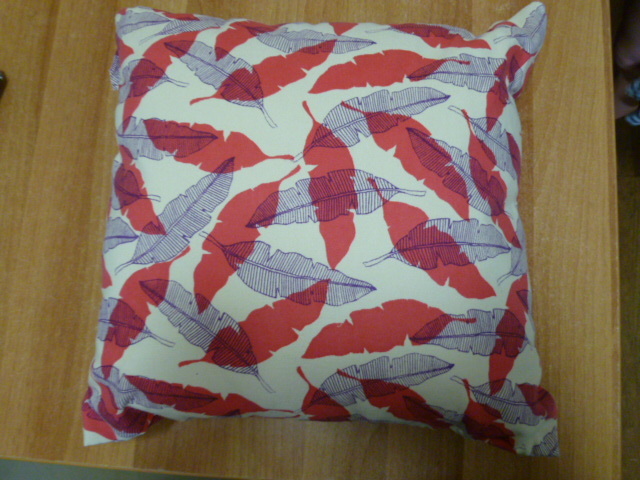 It was a class called Applied Textiles that lead her to her calling: textile art and design. “I had no idea what I was getting into – it was an elective class and I didn’t even know what Applied Textiles meant – and it was just so much fun,” Jana said. 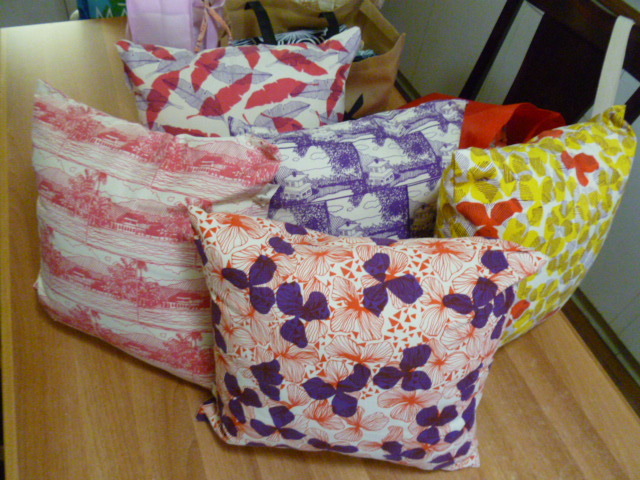 Some of Jana's wedding collection pillows. 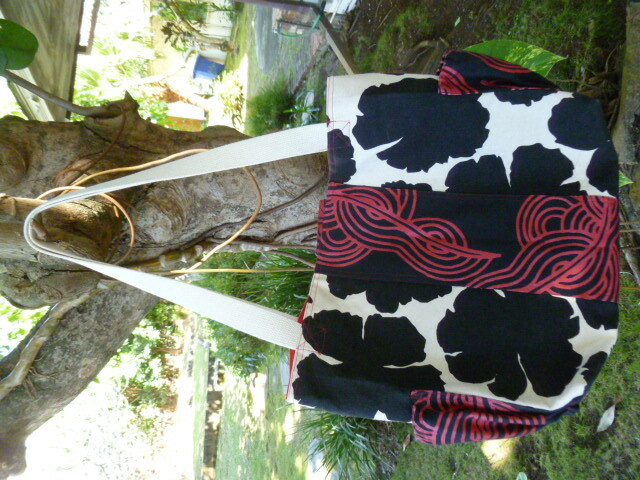 Now Jana is home in Honolulu and her textile designs are beginning to take off. They currently take the form of six styles of handbags (cross body bags, clutches, totes, beach bags and a baby bag) and throw pillows. Her first collection was inspired by her June, 2010 wedding. For example, one design is a banana leaf because Joshua presented her with an engagement ring on a mini banana leaf. Another design depicts the Tantalus house where they were married. The banana leaf print, inspired by her husband's proposal. Jana’s style is simple, sophisticated and elegant. She’s got the scale just right and her color choices are unexpected and beautifully contemporary. Her designs remind me a little of Marimekko fabrics from the ’60s and ’70s, which I adore. 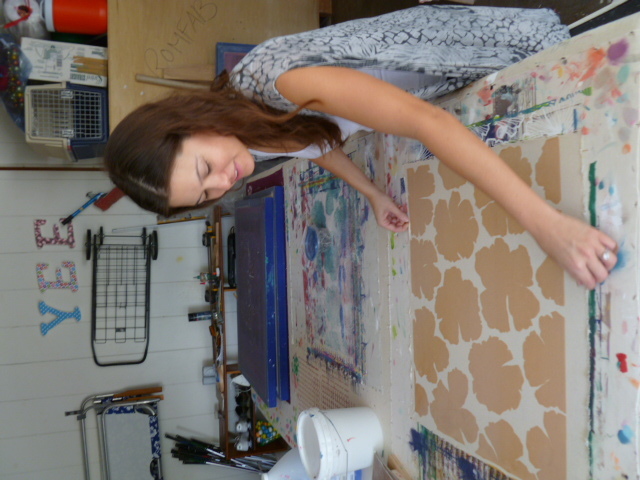 Jana creates each design by hand, starting with pencil and paper, then making a silk screen. She hand screens each piece of natural fiber and sews it into clutches and cross body handbags, paying attention to details such as unusual buttons and the addition of Pelon to add body and shape. 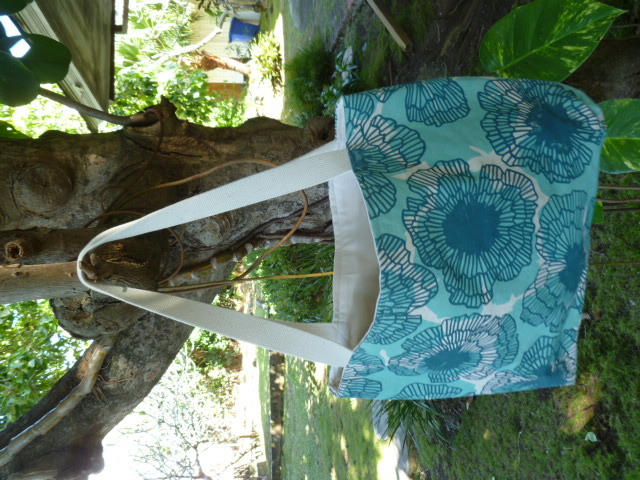 Her mother sews the totes and baby bags. It’s strictly a family business. A few Jana Lam clutches and cross body bags. Jana will hold her first trunk show from 11 a.m. to 2 p.m., February 12, at Riches Kahala. 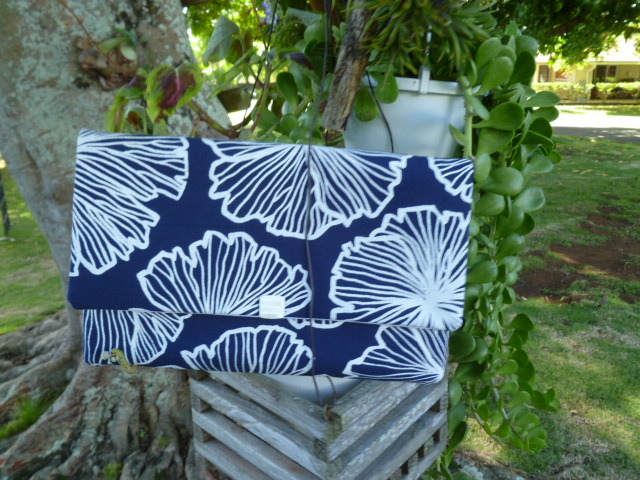 You can also find her bags ($42 – $125) and pillows ($55) at Super Citizen, 22 S. Pauahi Street, in Chinatown. The baby bag has a place for everything. A cross body bag in spring's hottest colors: coral and red. This entry was posted in Hawaii Fashion, Shopping and tagged Jana Lam, Kahala Mall, Riches Kahala, Super Citizen. Bookmark the permalink. great coverage, and good photos. I agree with Jerry!! I love her screen printing, the colors she uses and her finished products. How wonderful when local designers come back to Hawaii to do their special magic! 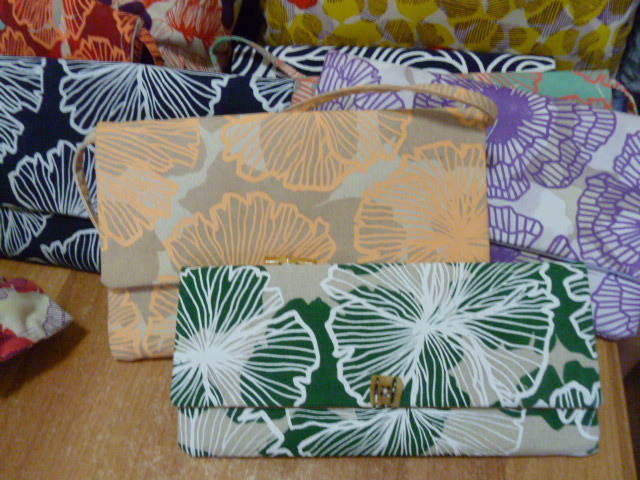 I adore those clutches, I may have to drop by Aunty Lo’s to see them in person! prints & colors… inimitable style is the way to go! Nice to read the piece about Jana Lam, the talented, young textile designer who’s come home to Hawaii to pursue her dream. I love her creations ! — bold yet soft and feminine, clean yet intricate, with great use of color. Her designs are appealing, fresh and eye-catching. 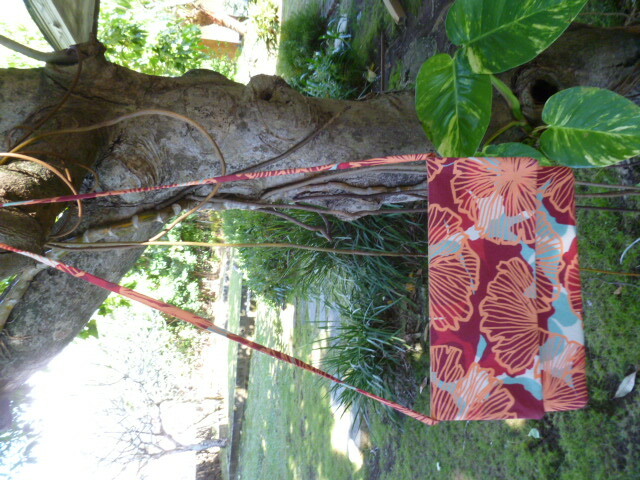 To me, they say, “I’m having fun, and I’m comfortable in my skin.” Can’t wait to get a Jana bag! I would like to purchase the thin strap, over the shoulder bag. I love the banana leaf story, print and colors. Can I get a call please? I’m on Maui. 808-283-4660.